Dai has been with us since August 2010. He lives the other side of Oswestry (about half an hour away) and is employed as a Yard/Handyman. He previously worked in farming, but mucks out morning and afternoon and in between helps with the maintenance side of things ie. fencing and tractor work etc. 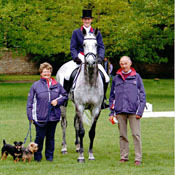 Alan and Eve (Oliver’s parents) are always supporting Oliver, both on and off the scene, and are an important part of the team. Jim and his team do a fantastic job of shoeing all of the horses on the yard and are always on hand to replace lost shoes on a Monday morning. They work with the vets to keep all the horses in top shape. Neal is based at Oakham vets in Leicestershire and is a good friend of Oliver’s. He oversees the horses treatment and knows all of their requirements very well. 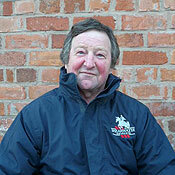 John has been part of the team at Fyrnwy Equine Clinic since 2007, and provides valuable local veterinary support. 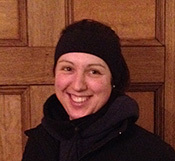 Becky is Oliver’s head girl, looking after the horses at home while Oliver is off competing.